Started & finished a sweet little set of handspun mitts for my girl and then cast-on a matching hat. The best part? My girl wants to knit the hat herself. 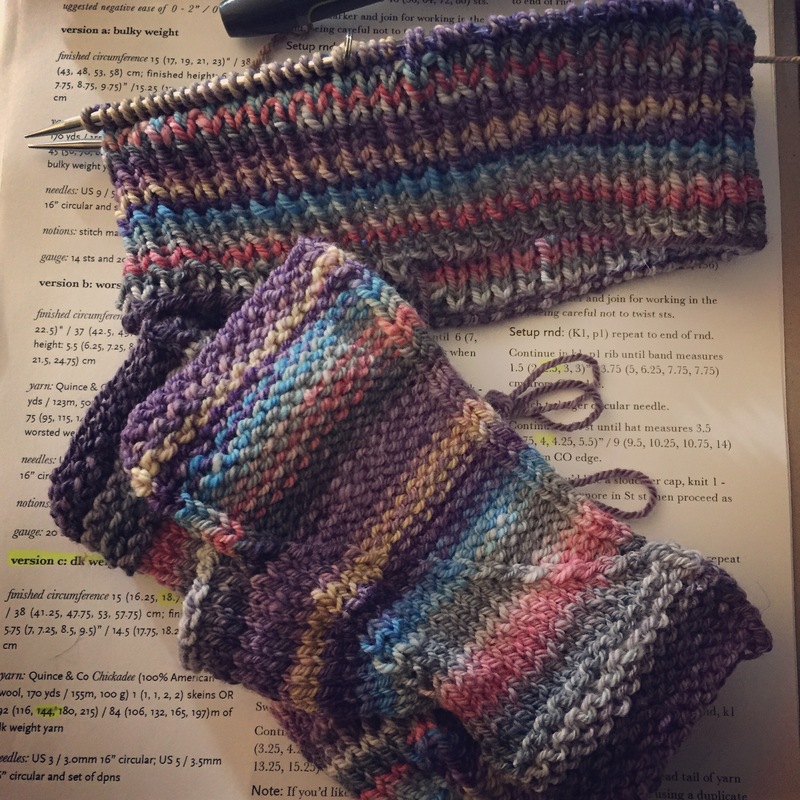 Handspun Socks, For the Win! Your yarn is so pretty – you have a lucky girl for sure! And if she learns to knit her own things, think how much more time you will get to spend spinning, to keep you both in yarn! Exactly. She’s spindling, too, these days, so my stash will soon be in glorious peril! wow – how cool that she can learn it all so young! Soon she will be wanting her own wheel and your house will be full of pink fluff! She already is asking to use my wheel. I feel very bad, but I’m loath to share. If she keeps up interest maybe I can find a nice little used one for her. I would love that, so we’ll have to see if she would, too. Secretly I wish my son had more patience to knit because he has a insane natural ability. knitting is great for teaching math and geometry, and learning to think in 3d. go for it!